It looks like a toolbox. 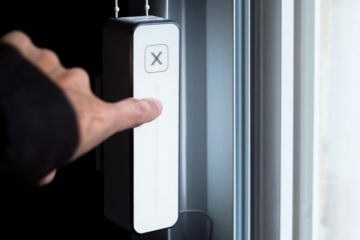 If you wanted to, we guess you could probably use it as one. 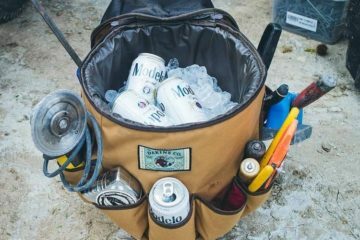 The Milwaukee Jobsite Cooler, however, is a functional ice box that you can use to keep a load of food and drinks chilled for an entire day. 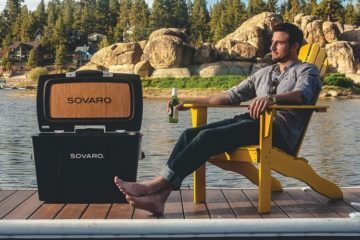 A soft-walled cooler, the contraption comes with pockets and compartments on the exterior that you can use to stash small tools and whatever supplies you need on the job. 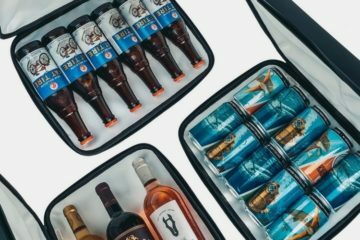 Yes, those same compartments are the actually the reason why it looks like a toolbox, which we guess is a good way to camouflage your bag’s actual contents, in case there’s anyone planning to steal the sandwiches and juices you’ve got stashed right in the cooler. 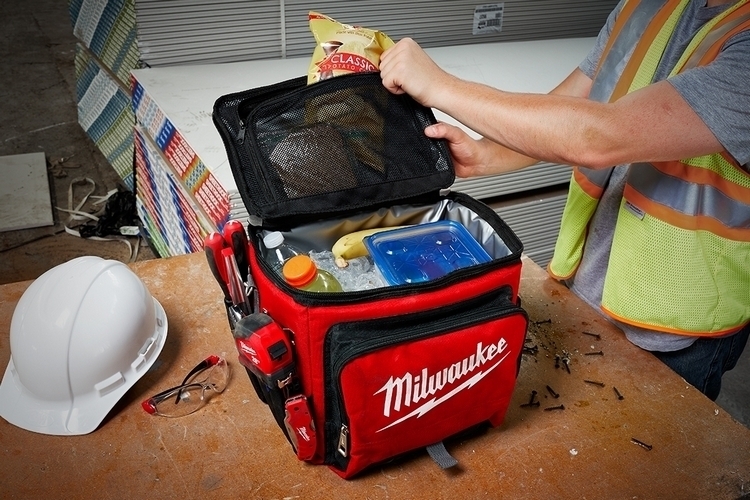 The Milwaukee Jobsite Cooler measures 14.9 x 13.8 x 11 inches (height x width x depth), leaving it wide enough to hold most food containers while being tall enough to hold 32-ounce bottled beverages. 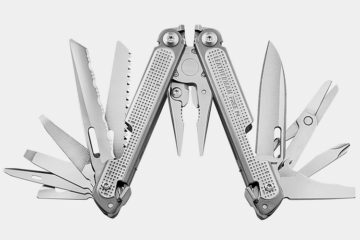 If that sounds big for something to carry your nourishment to work, keep in mind, these aren’t meant for people who work in an office like the Barebones Pathfinder, but for hard-working blue collar guys who spend the day wielding tools, operating heavy machinery, and doing hard labor in a job site. 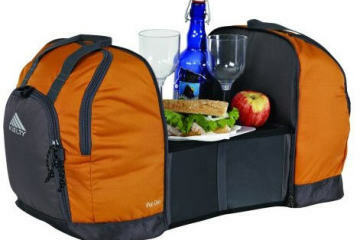 It comes with a 21-quart capacity, so you can load it with enough food and drinks to cover your meals and snacks throughout the day, regardless of how much calories you need. 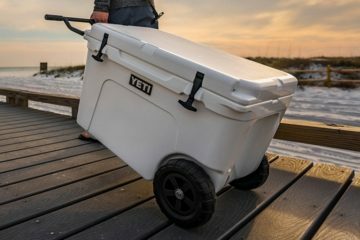 According to the outfit, it comes with twice the insulation of similar products in the market, allowing it to keep ice for a full 24-hour cycle. 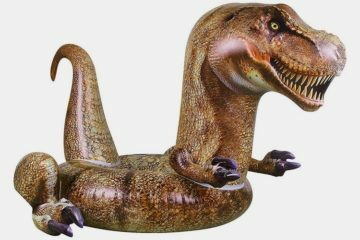 That means, you can use this during overnight camping trips, too, for those times you need to unwind after a long week at work. It has a food-grade leak-proof liner, by the way, so expect no drips or condensation anywhere on the bag’s exterior. 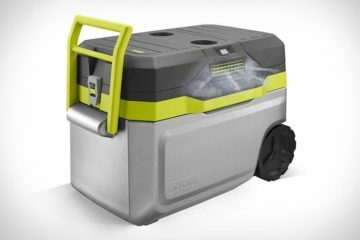 Inside, the Milwaukee Jobsite Cooler has a main compartment without any dividers, so you can freely load your food, drinks, and ice inside. A zippered pocket under the lid allows you to isolate sandwiches and food items you don’t want swimming in cold water, so they can stay dry while chilling in the cold temperatures inside. Since the job site is a hazardous place, it comes with 1680D ballistic material construction, complete with reinforced base that allows you to set it down anywhere without danger of getting punctures or damage, along with heavy-duty metal hardware. 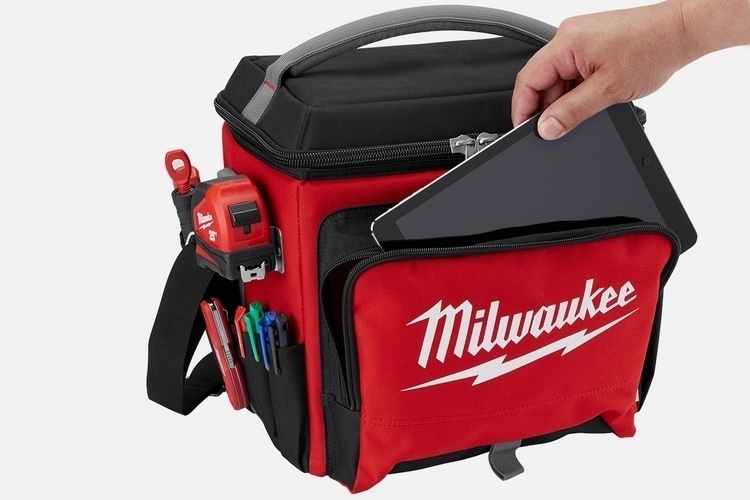 It comes with a total of 12 pockets, including a large front pocket sized to fit a tablet (because everyone needs some tech in their lives), a clip sized to hold a tape measure, and various slots sized to hold hand tools like screwdrivers and small wrenches. Of course, there’s also an integrated bottle opener because, you know, might as well throw one in. 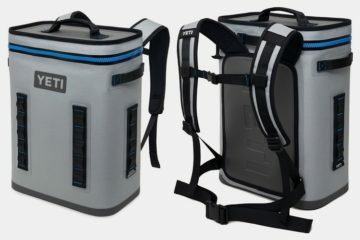 It comes with both a handle on top for carrying by hand and a padded shoulder strap for a more convenient carrying option. 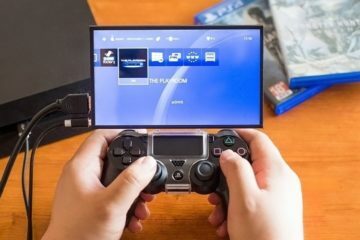 Want one? 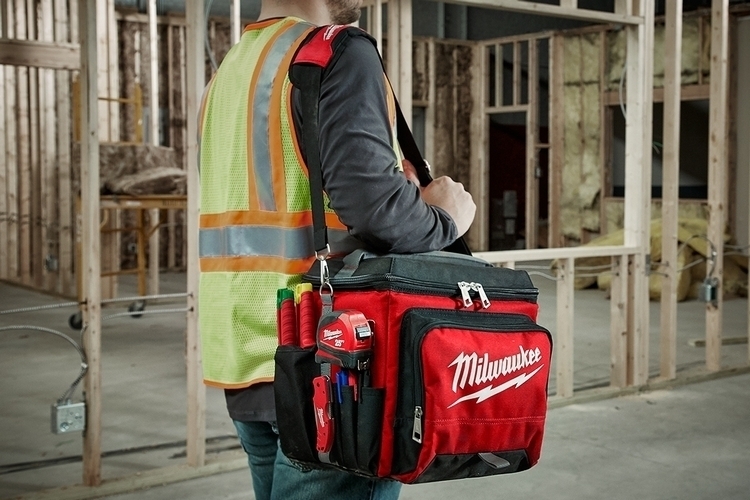 The Milwaukee Jobsite Cooler is priced at $49.99.